As you know the Christmas holidays are upon us. And if you work somewhere you know that the annual Christmas party is right around the corner. Some love while others loathe it. If you are a loather, don’t be because this annual ritual is actually an opportunity to network yourself to a better opportunity! 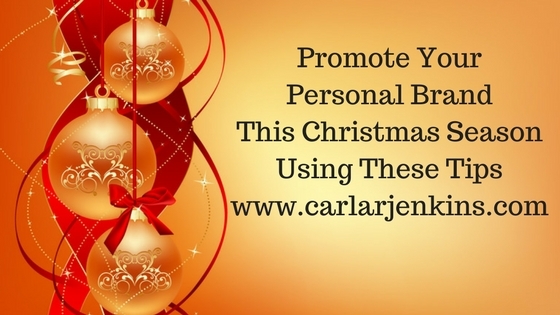 I have written my 5 ways to promote your personal brand at the company’s Christmas party. Review your personal brand – check your resume, website and LinkedIn. Make sure that there aren’t any typos or outdated information. Housekeeping is in order because after pressing the flesh at the Christmas party, people will go and check you out (People are notorious for not updating their LinkedIn profiles. If you have received a promotion or changed companies, please update that BEFORE attending). You must have your personal brand assets right! Bonus tip – I would post a couple of articles on my site related to my current job or the job that I wanted to pursue at the Christmas party. Use this Christmas party invite as an opportunity to advertise your expertise. After the party, your website will have a lot of eyeballs on it. You want to be prepared for the increased traffic. Dress the part – Adhere to the dress code at all times. Remember this is a company-sponsored event so you must adhere to policy. Stay professional – Mind your manners and social graces at all times. Just because you are not in the office doesn’t mean that you get loose with your behavior, language or alcohol intake. People are watching. The last thing that you need is to derail your career at the company over your behavior. It has happened. Don’t let it happen to you. Stay professional at all times. Bring your business cards – The Christmas party is a networking event. This is an opportunity to connect with other coworkers in different departments that you may be interested in working for in the New Year. Business cards are also necessary because face-to-face communication is still highly valued and receiving a business card makes you more memorable. Perfect your elevator pitch – This is a great time to practice your speech. You don’t want to be lost for words when you bump into the corporate VP next to the punch bowl. You have to be ready! Practice your 15-30 second pitch so that you are ready for anything be it the VP, another manager or the head honcho himself! These 5 tips will give you all of the tools you need to shine brighter than a Christmas ornament at your upcoming Christmas party! I know that these personal branding tips that I have just given you are helpful. Just imagine all of the information that you can get in my Make Your Personal Brand Pop bundle! It is STILL $97 for a limited time! You can buy it here! I agree with your tips. One must always be ready. Of course, e must also not oversell and look desperate. You have to ready. You have to view the Christmas party as a networking opportunity.